We Design, Build and Deliver Top Ranking Cocoas 2D Games. 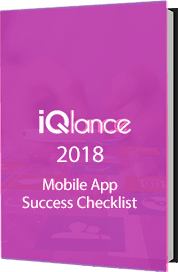 IQlance provides support in game development with high end gaming solutions using Cocos2D that is an open source game development platform. This platform is used for building games, apps and other graphic interface interactive applications on cross platforms. Being an open source, Cocos2D is both extensible and highly flexible. It is written in Objective-C, Apple’s native programming language for writing iOS apps. Cocos2D 3.0 is the latest version of open source iOS framework for developing 2D games, including thousands of App Store games. Our Coco2d game designers deliver many successful game applications that are consistently exceeding the expectations of customers in every project. Due to our expertise, experience and expert project management, we can deliver projects of any size with organized structure, well-documented phases and optimum speed. IQlance is Canada based company providing world class services in coco2d game development. IQlance has an expert coco2d game developers team that offer global solutions in coco2d development. We focus not only on providing professional unity engine development solutions, but becoming a trusted technology partner dedicated to supporting clients growing business needs is very important to us. Our customized approach helps us to make our customers satisfied. Our team analyses project requirements, technical feasibility and recommends expert in coco2d development. Our dedicated & proficient coco2d developers make sure your ideas are developed into a real and eye catching game through their quality programming skills. The product is tested by quality approvers who make sure all the issues are resolved before the product launch.